Public sector organisations set to deliver new transformative capabilities in all fields of strategic and operational undertakings. Several regional authorities across Asia-Pacific, including New Zealand and Australia, will develop new sourcing models for transformational ICT such as 3rd platform technologies for Smart City programs and for connected smart machines and intelligent sensors leading to the eventual construct of Internet of Things (IoT) landscapes. Encompassing Cloud, Big Data, mobility and social business, IDC Government says as a result, the very premise of the 3rd platform landscape fundamentally acknowledges the value of digital data as a strategic asset. With public sectors being the largest custodians of citizenry data, the analyst form believes “there is no better time” than now to commence upon the economic quantification, valuation and recognition of information assets. Revealing major trends that will impact public sector IT investments across Asia/Pacific in 2015, IDC reports that public sectors are under constant pressure to enhance their end-to-end stakeholder experiences; increase productivity and resources optimisation; as well as rethink the way their employees work. "The 3rd platform landscape holds an almost unlimited potential to help public sector organisations to deliver new transformative capabilities in all fields of strategic and operational undertakings,” says Gerald Wang, Research Manager, IDC Government Insights, Asia/Pacific. According to Wang, ICT is ultimately, an enabler of organisational transformation. “It is, however, most definitely not the technology but the harmony of the entire government ecology that brings about effective public sector transformation - one that will reap benefits for both the private and public spheres,” he adds. “Therefore, the focus on outcomes-based justifications and goals should always be the primary objective of any public sector ICT undertaking." Asia Pacific city governments are expected to bring about the first wave of IoT adoptions with initiatives aimed at improving city management operations as well as eServices deliveries. 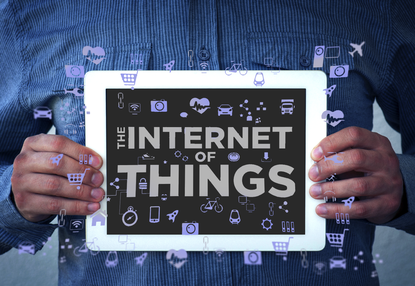 Notably, IDC claims fund-raising and investments in IoT will become much clearer in 2015 as prices of sensors continue to fall and the value-added services from suppliers continue to grow. Like these industries, IDC believes healthcare will also embrace omni-channel strategies to provide a consistent experience across phone calls, actual visits, organisation Web site, or mobile apps. Internationalisation of education has fast become a trend in today's education systems. “Especially at the tertiary levels, the base location of the university is often different from the location of students,” Wang adds. In this mobile world, Wang believes ICT has taken on a new significance in transcending the borders and give access to relevant content to students, irrespective of their geographical locations. “In the emerging economies in the region, personalised learning will manifest itself through the increase in uptake of mlearning,” he adds. “In mature economies, especially at the tertiary level, ICT is not only supporting seamless access to content, but also triggering a new model of learning that is more personalised."